So this week I thought I would share some cards that I've made in recent months that I never got around to sharing. 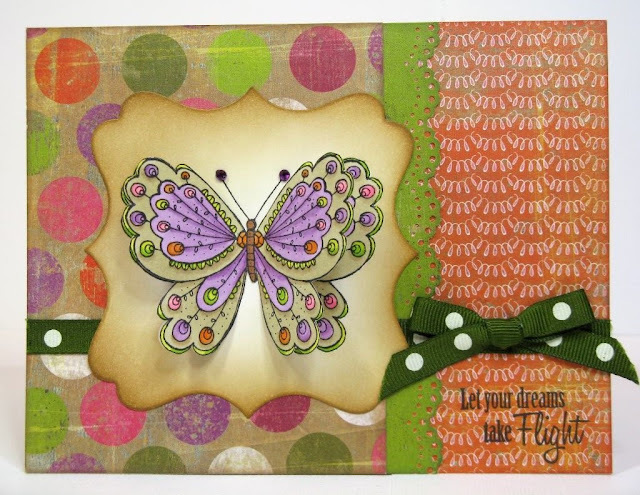 This is a card I made using a Hero Arts Butterfly Stamp, my copic markers and a mini 6x6 paper pad from Basic Grey's Green at Heart collection. I started by selecting my papers and coloring my butterfly to match. 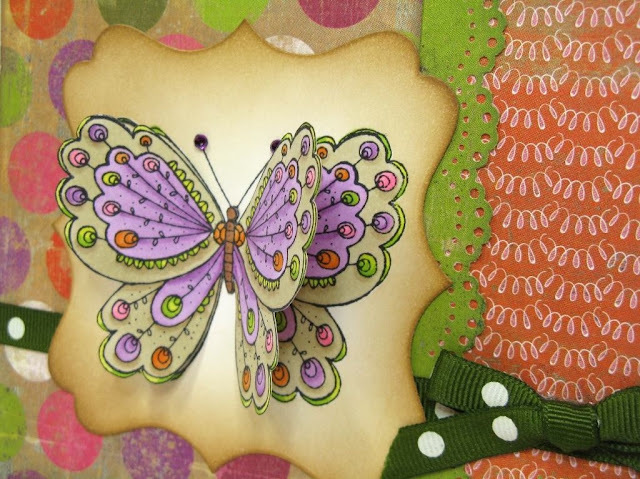 I stamped and colored two images--Diecutting one with the spellbinders label and fussy cutting the second one out and gluing just the center portion down which all allows the wings to flap a bit to reveal the other butterfly below. For the butterfly that was stamped on the diecut label, after coloring the image with the pens, I stamped and cut a mask to cover the butterfly and then used distress inks with a foam applicator to give the label a soft background which blended better with the papers than the stark white cardstock it was originially stamped on. Sentiment Stamp- Papertrey Ink "Butterfly Dreams"